Apple's (AAPL) efforts to break into the streaming music business have attracted considerable attention from fans, investors, analysts and even a few lawyers in Washington, D.C. But while Apple obviously shouldn't get tangled up in another antitrust lawsuit, the company's aggressive negotiations and strategies are actually positive signs of a market leader still fighting for more growth. The latest controversy emanates from the company's talks with record labels, which started out last year, seeking lower prices for consumers only to end up more recently allegedly looking for ways to limit or eliminate free, ad-supported services from Spotify and other streaming competitors. The Verge and Bloomberg reported last month that antitrust regulators at the Federal Trade Commission were checking into the matter. An FTC spokesman declined to comment to Yahoo Finance. 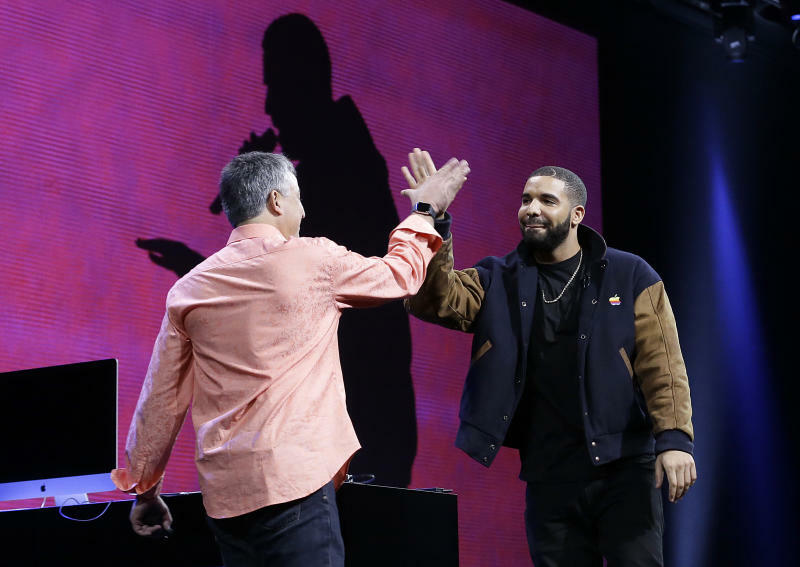 Some smaller labels have also been complaining about Apple pressuring them to forgo royalties for songs played during three-month free trials of the new music service. But the attention from regulators -- as well as the difficult negotiations themselves -- point to a larger truth about Apple that should reassure fans and investors alike. Despite the death of Steve Jobs and the embarrassing (and likely expensive) loss in the 2012 ebook price fixing lawsuit, Apple is still striving to push the boundaries of competition and innovation. Many commentators argued Apple would lose its edge after leadership passed from Jobs, a tough and brilliant negotiator, to the more genteel southerner, Tim Cook. But Cook kept Jobs' top dealmaker, Eddy Cue, on the job. Already, Cue has made the deals needed to get Apple Music off the ground and he's no doubt hard at work battling for rights to back the company's upcoming online video service. Another fear was that, like other tech giants prosecuted for antitrust violations, Apple would lose the aggressive edge needed to keep pace in fast-changing markets. IBM (IBM) and Microsoft (MSFT) both lost their industry-dominating positions after regulators cracked them for anti-competitive practices. "The risk after the ebooks case was that it would impede Apple's various efforts to compete in many markets," says Geoffrey Manne, executive director of the International Center for Law and Economics. "That was a real fear." At IBM, the 13-year antitrust case diverted resources and distracted management, as lawyers for both sides rifled through some 760 million documents to battle over the government's charges. The Justice Department finally abandoned the lawsuit in 1982, but the damage was done and IBM suffered a lost decade, sinking into irrelevancy until Louis Gerstner took over as CEO in 1993. The impact of Microsoft's case is somewhat more debatable. Windows remains by far the leading operating system software for desktop computers and Microsoft's profits have never been higher. But for much of the past decade, competitors like Apple, Facebook (FB) and Google (GOOGL) lapped Microsoft under CEO Steve Ballmer, as huge new markets emerged in mobile devices and Internet services. Microsoft is worth $377 billion today, less than it was in 2000, while Facebook and Google have gone from nothing to more than $600 billion combined. Settlement of the 1998 antitrust case explicitly limited Microsoft's development of products for email, messaging, media and web browsing. Company lawyers sat in on product decisions, slowing progress and limiting integrations. "If anyone thinks the antitrust case hasn't slowed us down, you're wrong," online product head Mark Kroese told a Harvard Business School Symposium back in 2005. "If I want to meet with a products manager for Windows there needs to be three lawyers in the room." By contrast, Apple has continued battling. After fighting hard for music rights, Apple will automatically install its new music app on every new iPhone, just the kind of integration Microsoft shied away from. And it needs to get as many artists on board as possible to compete with the likes of Spotify, Rdio and Deezer not to mention similar products from Amazon (AMZN), Google and Microsoft. Apparently, Apple still won't have Taylor Swift's most recent album, though. Antitrust experts said most of Apple's moves sound reasonable, though they cautioned that one particular charge could be over the line. In the ebook case, Apple was found guilty of coordinating a price fixing conspiracy among major publishers. Thus, if the company worked to help record labels eliminate free ad-supported streaming music services from competitors, Apple could find itself liable again. "If they were trying to influence how horizontal competitors price or sell their product, that is essentially what they were found guilty of in the ebooks case," says Christopher Sagers, a law professor at Cleveland State University. Apple is also moving aggressively in other areas, battling Google in mapping and mobile search, Microsoft in tablet software and, soon, Internet video offerings from Dish (DISH), Verizon (VZ) and others. In every case, Apple is bringing to bear its considerable advantages, including its 800 million iTunes customers with credit cards on a file and a fervent and wealthy iPhone user base estimated at 500 million or so worldwide. For the most part, that's a huge boon to competition and to consumers.